Hongmei joined the Firm in 2019 and is based in Shanghai. She specializes in conducting research in the asset management, wealth management and other financial services sectors. Hongmei started her career in credit for 8 years with China Merchant Bank, Pacific Credit Card Center (a JV between Bank of Communications and HSBC) and Bank of East Asia. She left BEA in 2010 as Head of Credit Management Department and started her search career with Executive Access in Shanghai where she served for 5 years. She then took a break from search and spent the last 3 years in HR Director role with wealth management companies. To find out the MVP. 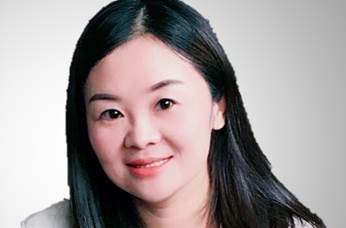 DirectorHongmei joined the Firm in 2019 and is based in Shanghai.